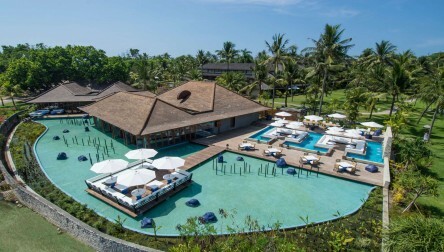 Experience the all-inclusive day pass by Club Med Bali, a family resort in an exotic beach location, offering exquisite local cuisine, delightful spa, with sports, activities all day long! Buffet lunch and Unlimited Drinks included. Whether you wish to relax, be active, discover the Balinese culture, have fun or family time, there is something for everyone at Club Med Bali. Featuring a quiet pool area, a children pool, 2 restaurants & 2 bars. * Free under 4 yrs old. 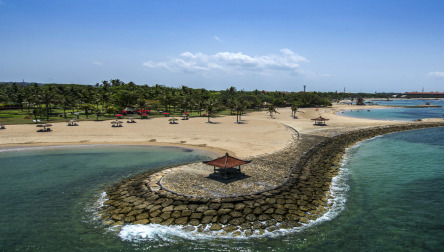 We hope you enjoy your All inclusive Resort Day Pass at Club Med Bali.Experience the all-inclusive day pass by Club Med Bali, a family resort in an exotic beach location, offering exquisite local cuisine, delightful spa, with sports, activities all day long! Buffet lunch and Unlimited Drinks included. We hope you enjoy your All inclusive Day Pass at Club Med Bali.